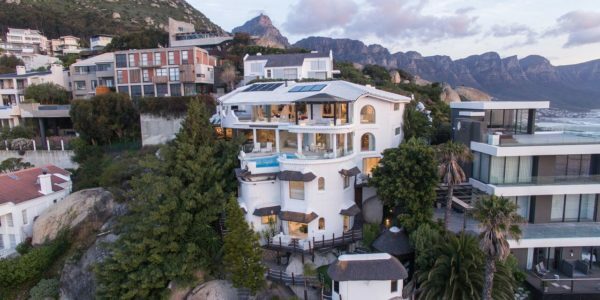 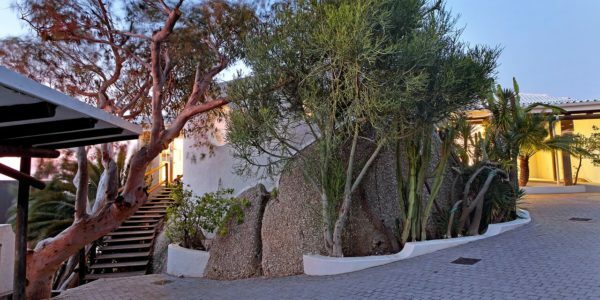 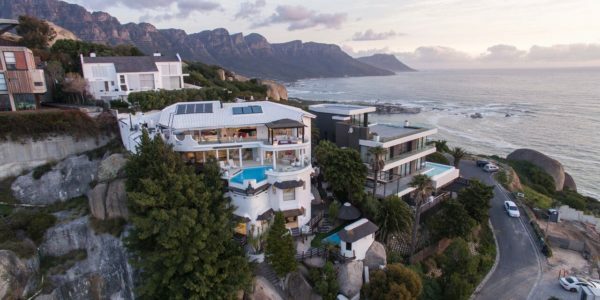 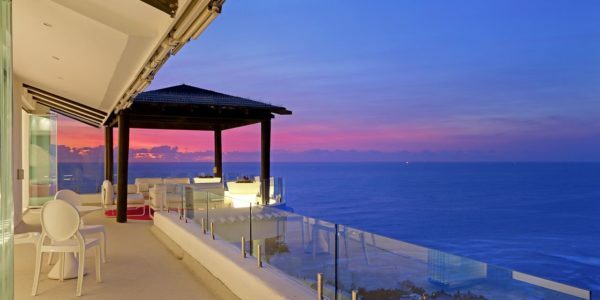 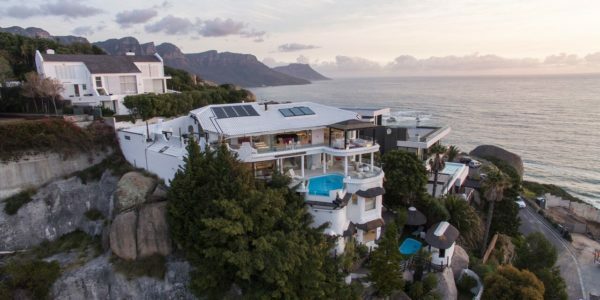 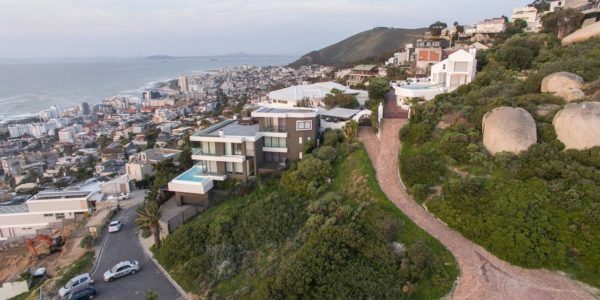 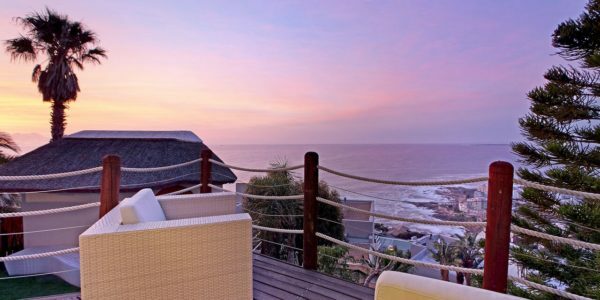 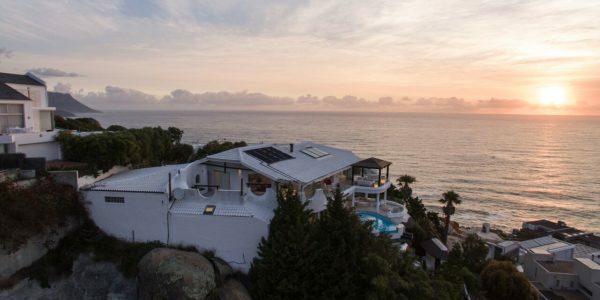 Eagle Rock is a magnificent 6 bedroom villa, built around massive mountain boulders at the very end of a private road in Bantry Bay offering the most spectacular views of the Atlantic Ocean. 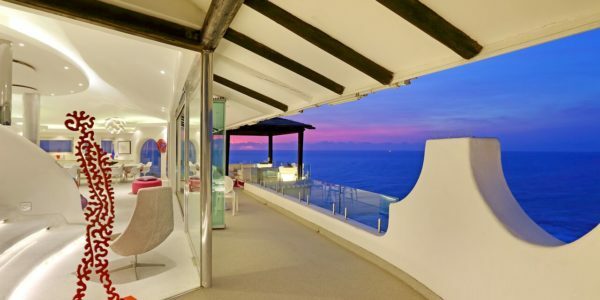 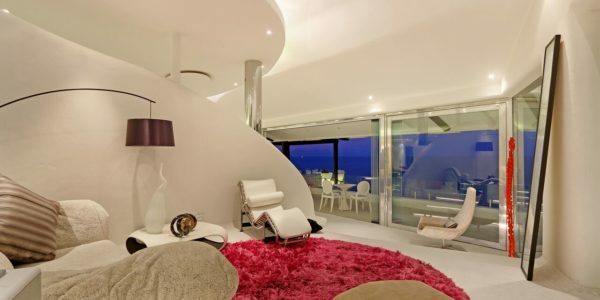 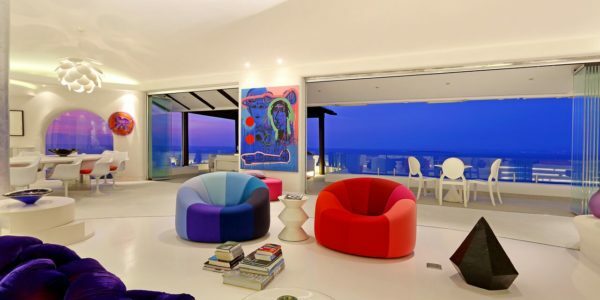 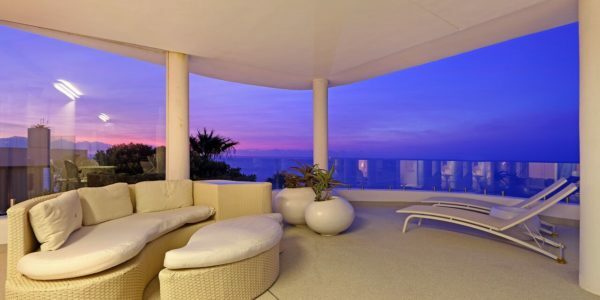 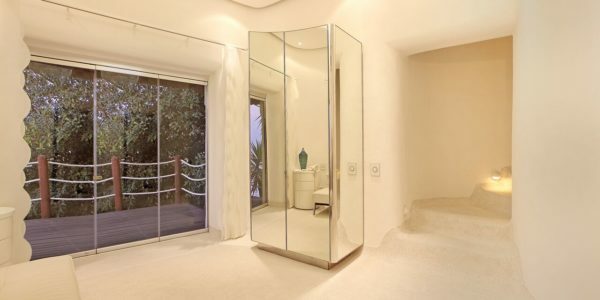 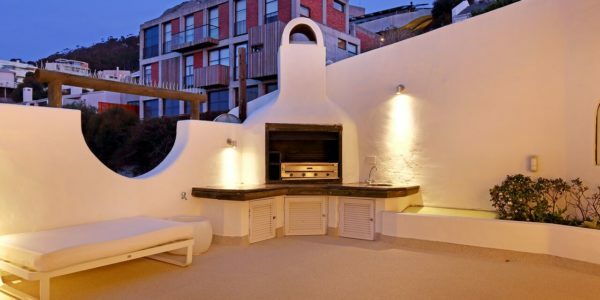 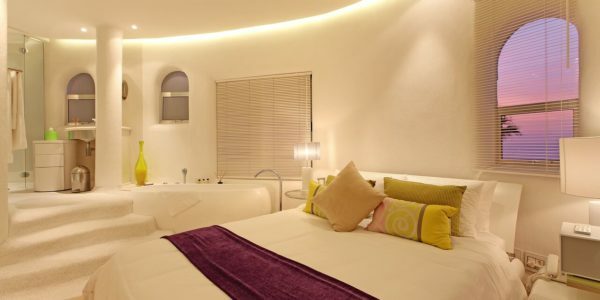 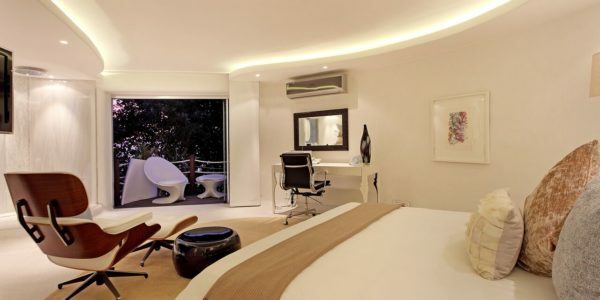 This Villa is truly a vacationers dream which has been stylishly furnished and exquisitely decorated. 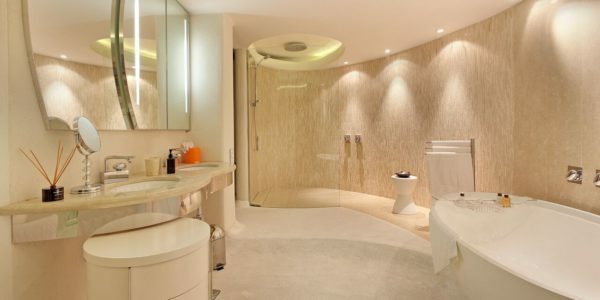 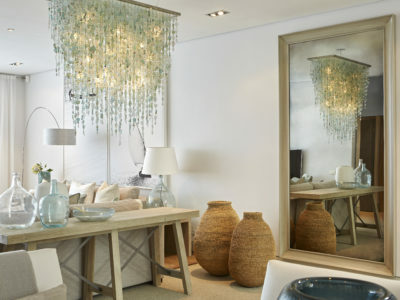 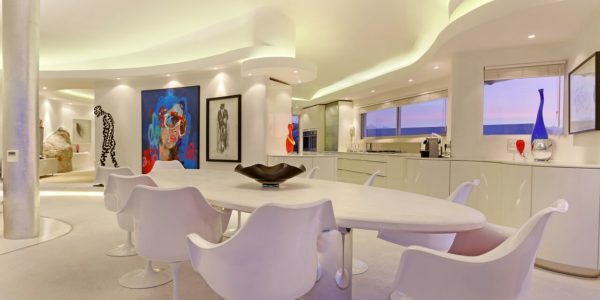 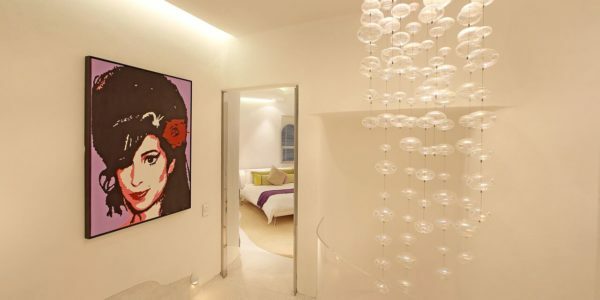 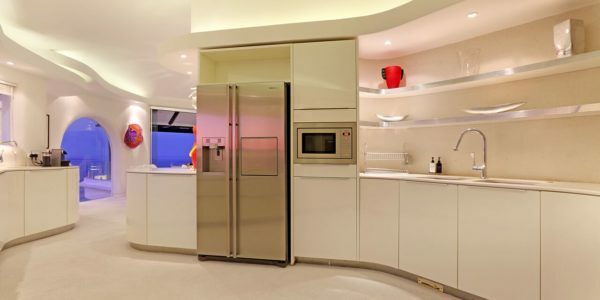 Stunning works of art adorn the walls and every piece has been expertly chosen to fit this luxurious property. 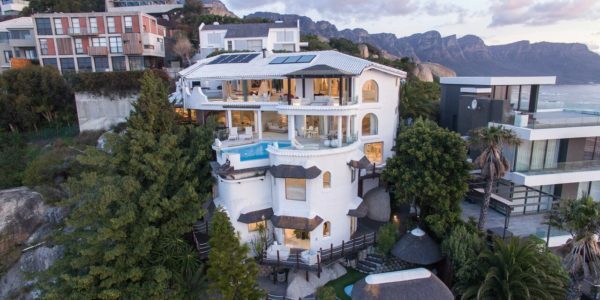 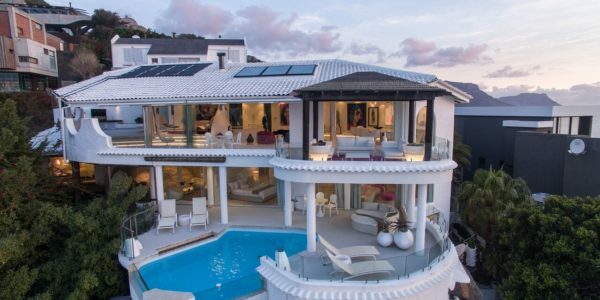 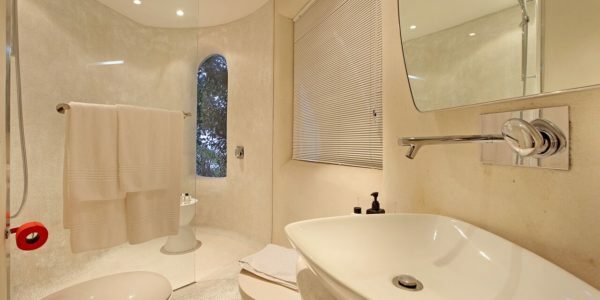 The Villa is set over 4 levels with each of the 6 bedrooms being its own suite with en-suite bathroom and ample relaxation space. 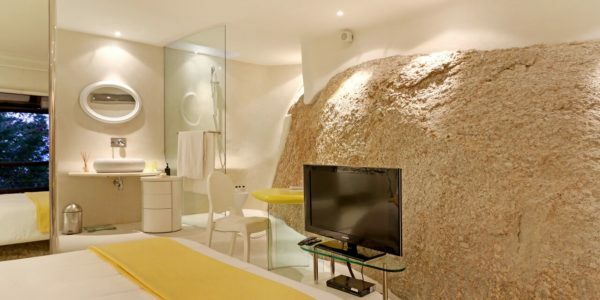 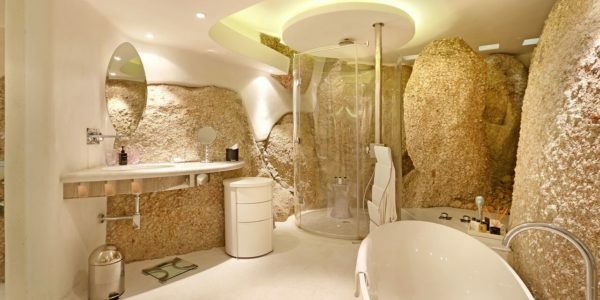 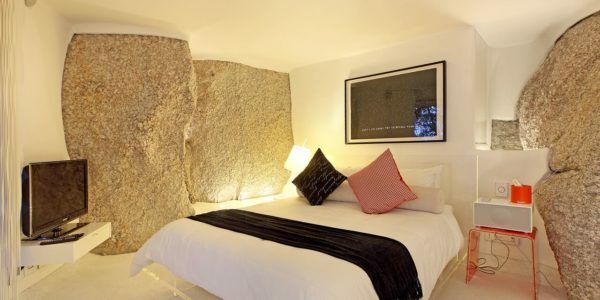 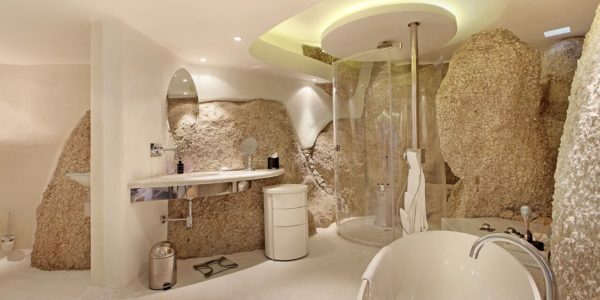 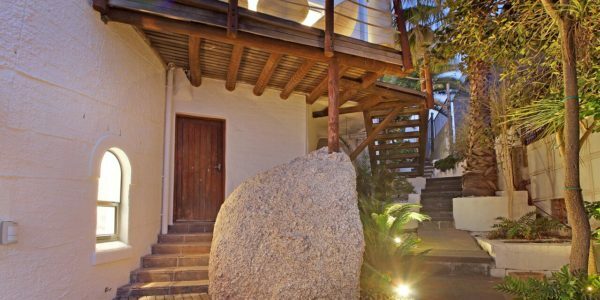 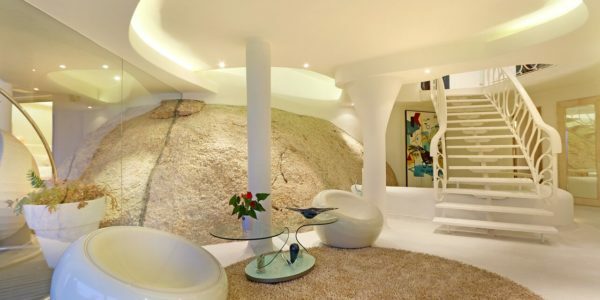 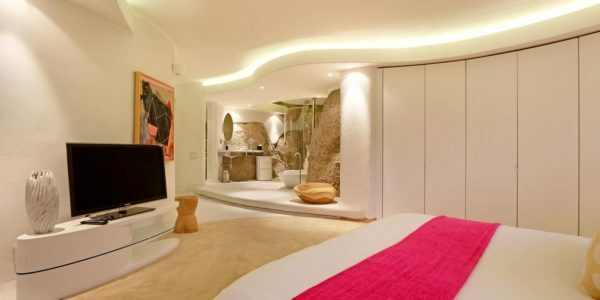 The Villa has been designed around the mountain evident in certain areas where the boulders have been incorporated into the rooms. 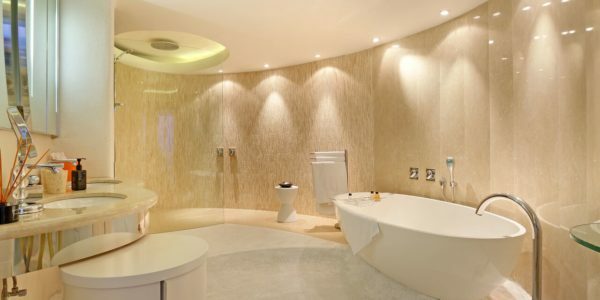 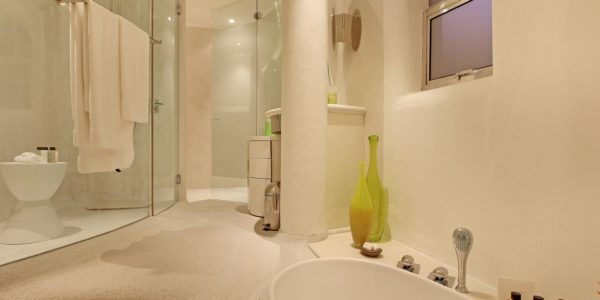 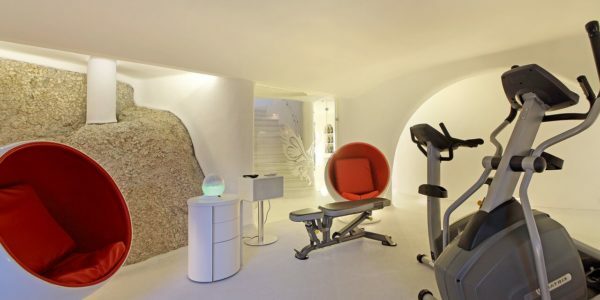 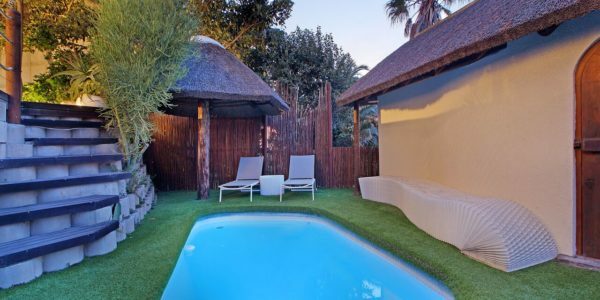 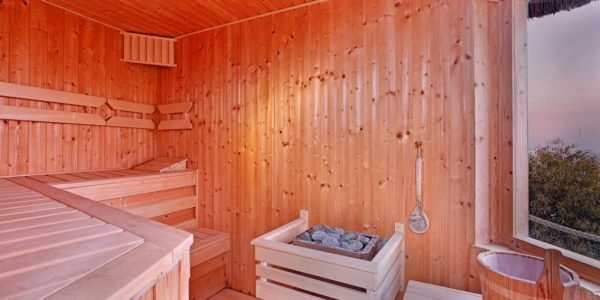 There are two pools to choose from as well as a sauna and gym, to ensure your every comfort has been accommodated. 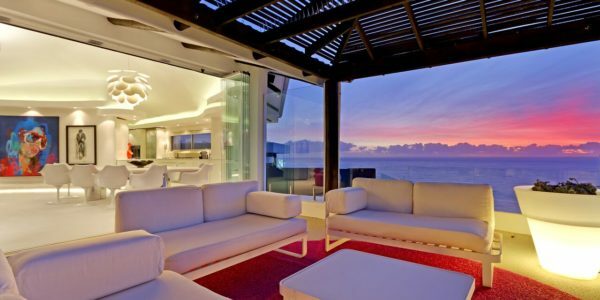 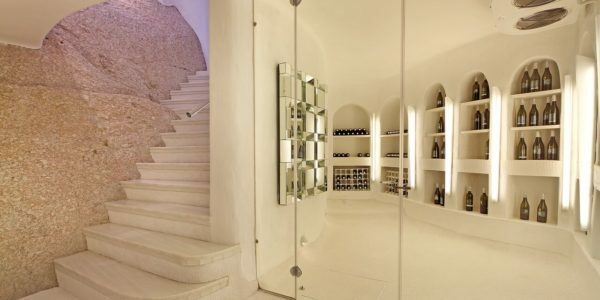 The villa offers large, harmonious spaces for pure holiday relaxation and sophisticated entertaining. 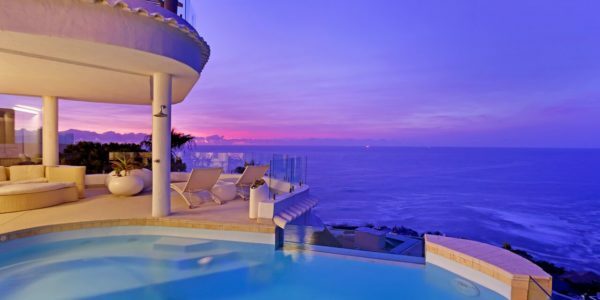 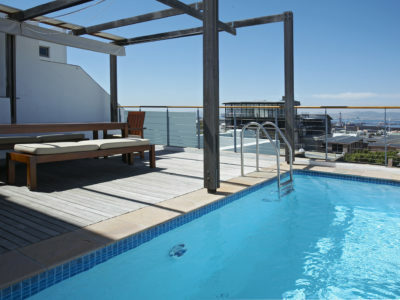 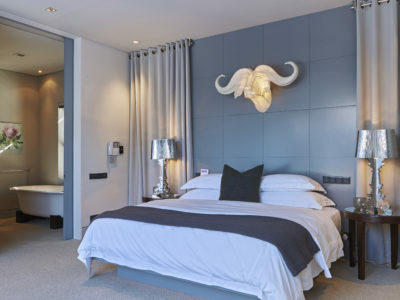 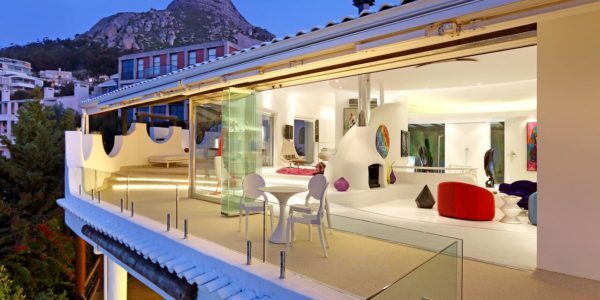 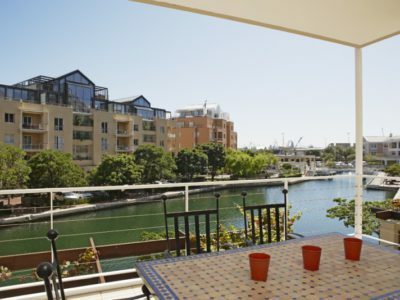 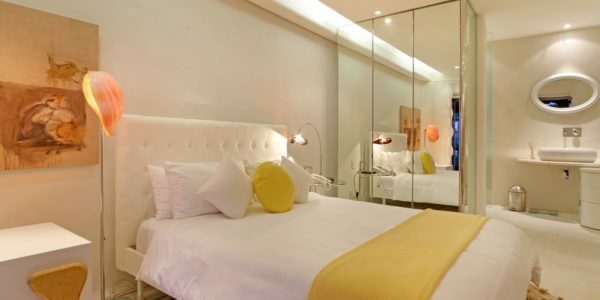 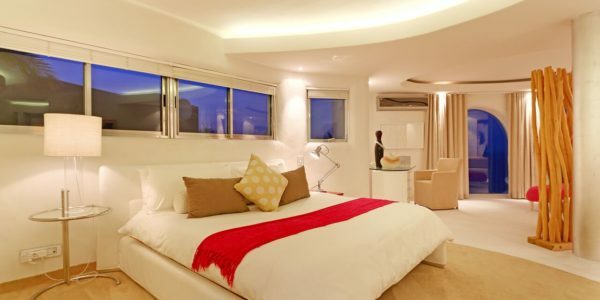 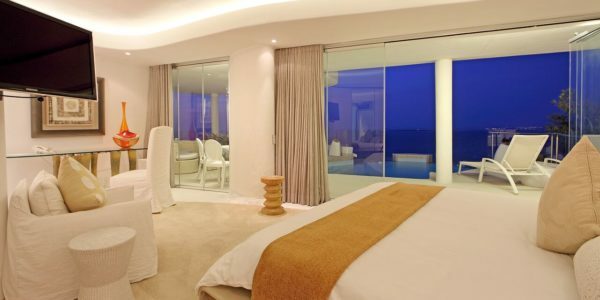 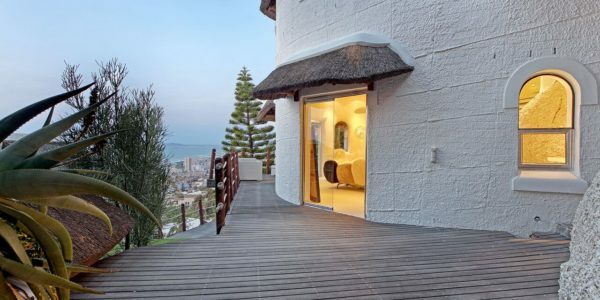 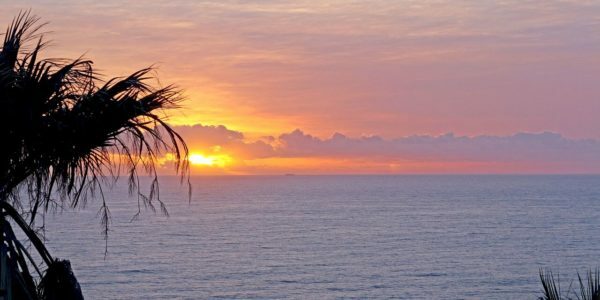 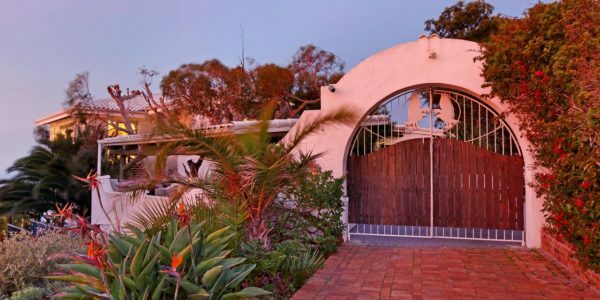 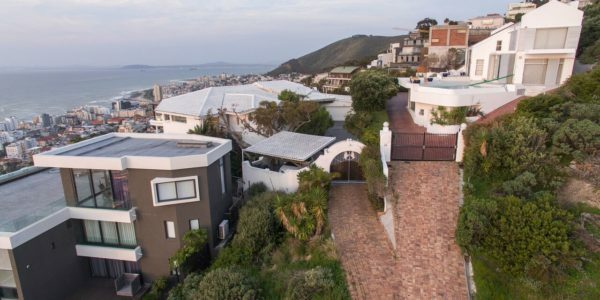 Bantry Bay is one of the most affluent areas in Cape Town, located between Sea Point and Clifton, with easy access to entertainment venues, world class shopping centers and restaurants.